A Holocaust exhibit raises disturbing questions. 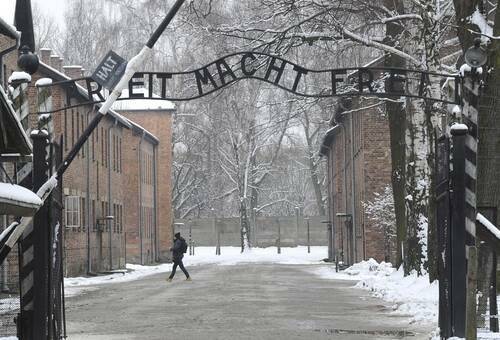 A Holocaust exhibit raises disturbing questions. The answers still matter today. 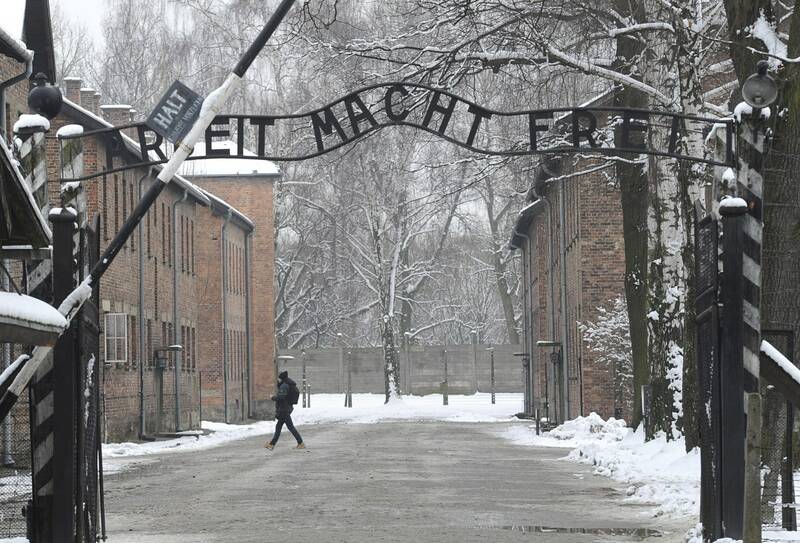 The entrance of the former Nazi death camp complex of Auschwitz in Poland. (Alik Keplicz/AP). IF THE point of history is to learn from it, there are lessons galore to be found in a new special exhibition at the U.S. Holocaust Memorial Museum, one of the most important since the museum opened a quarter-century ago. The exhibit, “Americans and the Holocaust,” raises disturbing and complex questions about the years leading up to the killing of 6 million Jews and others in the Nazi camps. The answers resonate today. A persistent myth is that Americans lacked information about the Nazi concentration camps. The exhibit shows otherwise, illustrating how news about the Nazi persecution of the Jews was reported in local, as well as national, newspapers and magazines, and in newsreels in the 1930s. On Time magazine’s July 10, 1933 cover, Hitler’s propaganda chief Joseph Goebbels appeared over the caption, “Say it in your dreams, ‘THE JEWS ARE TO BLAME’ ”. True, there was a dearth of visual information about Hitler’s “Final Solution.” The devastating photographs only came later. Still, a sizable gap existed between what was known and what was done. Without offering excuses, the exhibit probes the explanations for this lacuna, including the impact the Great Depression had on the American people, and powerful currents of xenophobia and isolationism. After the dreadful Nazi riot against Jews in Germany and Austria on Nov. 9 and 10, 1938, known as Kristallnacht, polls showed that Americans overwhelmingly disapproved of Nazi treatment of the Jews, but also showed that they did not want to allow more Jewish refugees to enter the United States. The numbers of refugees admitted were a fraction of those who applied. President Franklin D. Roosevelt took the nation to war, but he did not take the lead on a rescue of the Jews, a decision still much debated. The exhibit does not alter the known facts of Mr. Roosevelt’s logic. The president met at the White House with the Polish underground member Jan Karski in 1943, who told him of the horrors suffered by Jews in the Warsaw Ghetto and in a transit camp. But the president remained focused on war-winning, not rescue. The exhibit recounts some shocking government blunders, including the State Department’s inexcusable refusal in 1942 to pass on information from Gerhart Riegner, the World Jewish Congress’s representative in Switzerland, about a plan being formulated in Hitler’s headquarters to eliminate 3.5 million to 4 million Jews. “Do not send” is scrawled on the document. More can and should have been done to raise the alarm during the war. By the time of the D-Day landing, 5 million Jews had already perished. The exhibit notes that on Dec. 3, 1944, on this editorial page, The Post first introduced to readers a new word, “genocide,” coined by a Polish Jewish immigrant lawyer, Raphael Lemkin. Today, we have vastly improved tools to discover violence against a whole people; witness the telling satellite photographs of burned-out Rohingya villages in Burma or of the concentration camps in North Korea. To cite those examples, unfortunately, is to acknowledge that our response mechanism has not improved along with our technology.